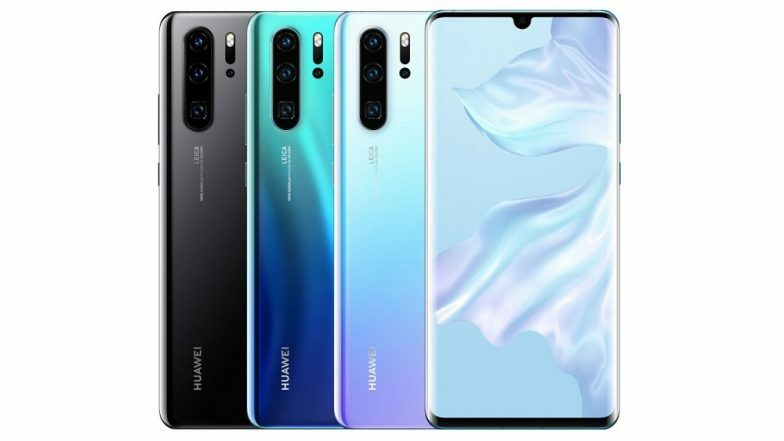 Huawei, the Chinese smartphone maker on Tuesday officially launched the new flagship phones - Huawei P30 and P30 Pro at an event in Paris. The new P30 series phone gets a starting price of €700 (which is around Rs 54,600), whereas the Pro version is priced from €999 (approximately Rs 78.000). The main highlights of the new flagship device are triple rear camera, In-display fingerprint sensor, a 32MP selfie camera and Kirin 980 SoC. Amazon Fab Phones Fest Sale 2019: Discounts & Offers Up to Rs 4000 on Vivo Y83 Pro, Huawei Y9, Realme U1, Xiaomi Mi A2 & Other Smartphones. As far as the specifications are concerned, the Huawei P30 gets a 6.1-inch OLED display with resolution of 2340x1080 pixels. The handset features 6GB of RAM and 128GB of internal memory. The phone also gets memory expansion provision that is expandable up to 256GB via a microSD card. Running Android 9 Pie with EMUI 9.0, the device is backed by a 3,650mAh battery with USB Type-C port. In terms of camera, the Huawei P30 phone sports Leica-branded triple cameras at the back. The setup comprises of 40MP lens, 20MP ultra wide sensor and 8MP 3X optical zoom lens. The company also brings dedicated camera night mode. The front camera is a 32MP sensor for video calling and selfies. Huawei Mate X Foldable Phone To Be Launched in India By Mid This Year - Report. Huawei P30, on the other hand, comes with slightly bigger 6.47-inch OLED display carrying pixel resolution of 2340x1080. Unlike P30, the P30 Pro is offered in 3 storage options along with 8GB of RAM - 128GB, 256GB and 512GB. The phone also comes with a massive 4,200mAh battery with 40W ‘SuperCharge’ support. Moreover, the phone not only supports wireless charging but also reverse wireless charging. The phone also comes with an additional camera feature such as TOF sensor and 5X optical zoom.